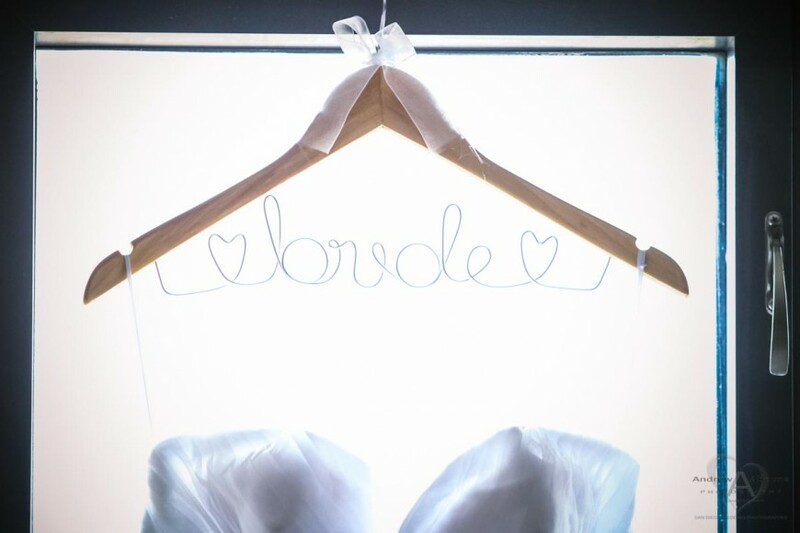 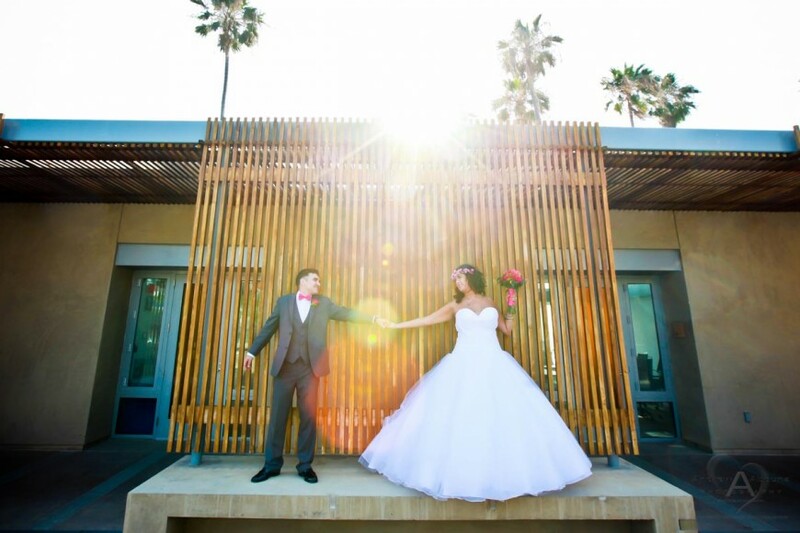 Carly and Nathan’s La Jolla wedding photography began at the Hyatt Regency La Jolla at Aventine, a lovely property offering the charm of a European village and the panache of Southern California. 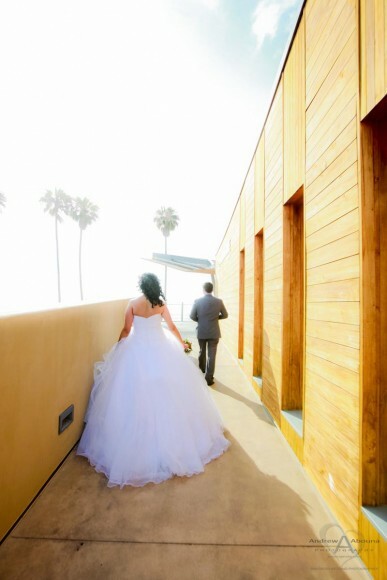 It was here that I captured the bride and groom’s pre-wedding and getting ready wedding photography. 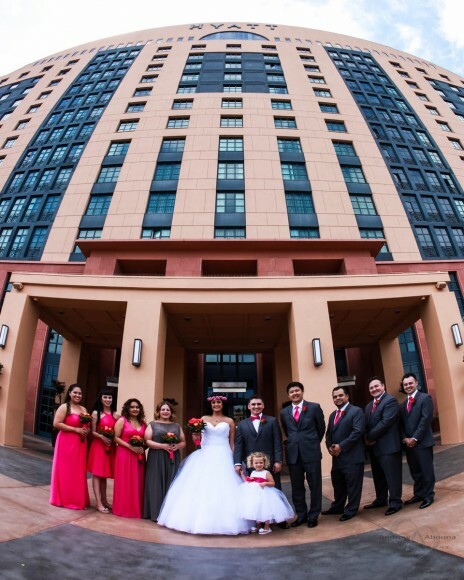 The Hyatt also made for a very wonderful setting for the couple’s wedding first look. 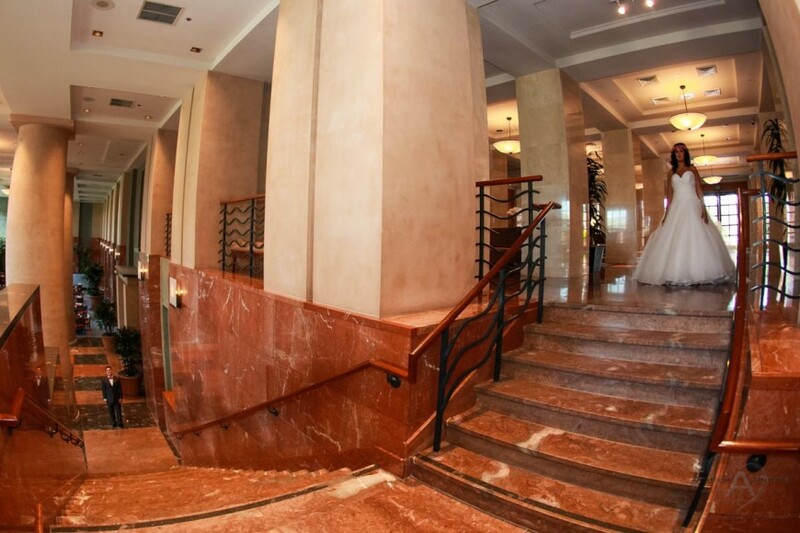 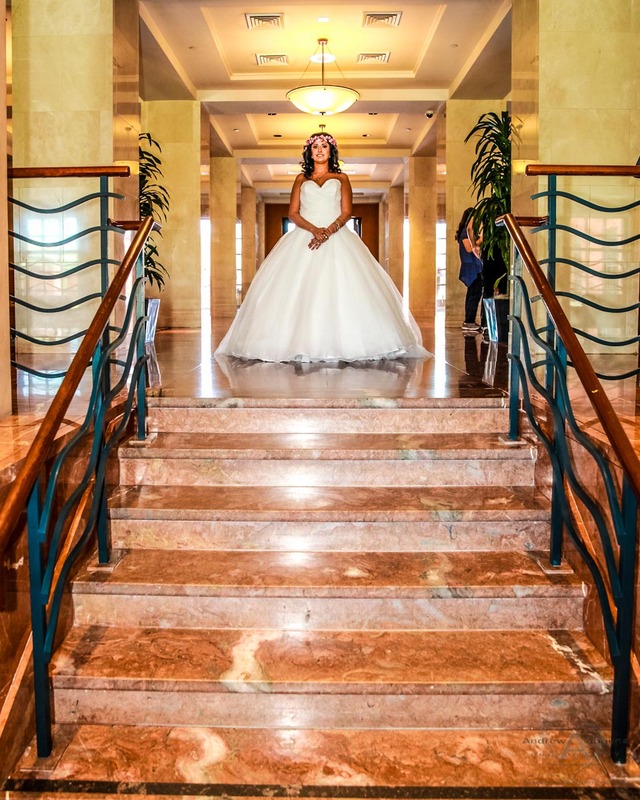 If you’ve not yet seen the large, marble staircase that connects the lobby to the expansive marble esplanade, with it’s 40 foot columns and ballroom space below, it’s something well worth the trip to the hotel to see. 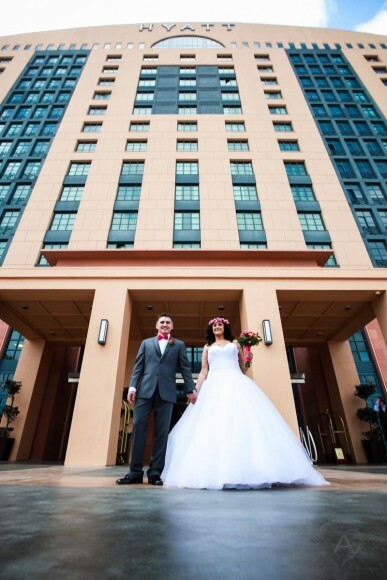 This fantastic architecture of the Hyatt made for the perfect setting to stage the couple’s first look. 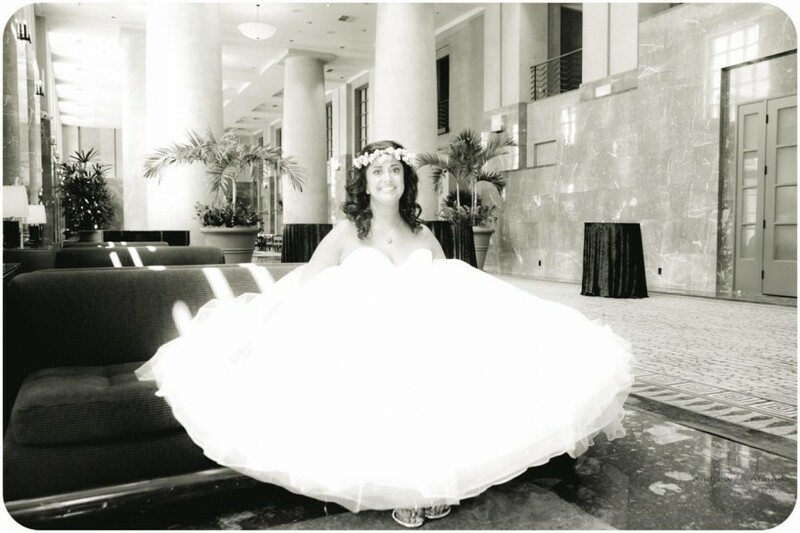 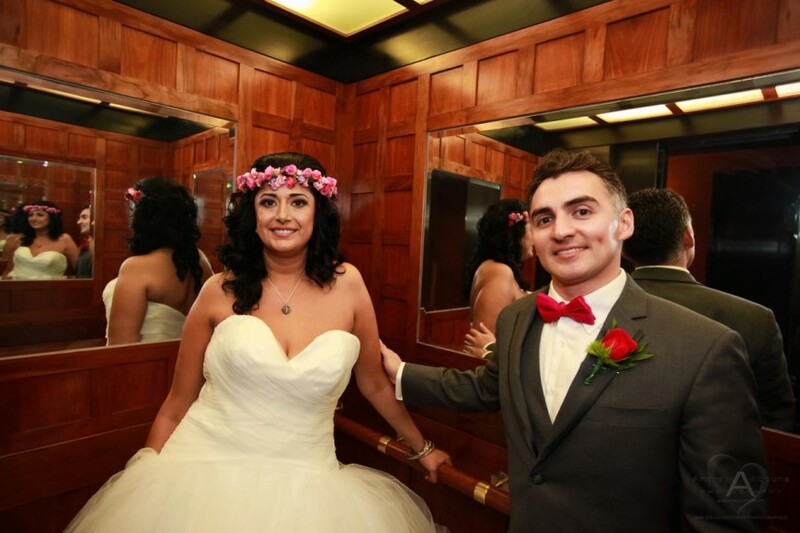 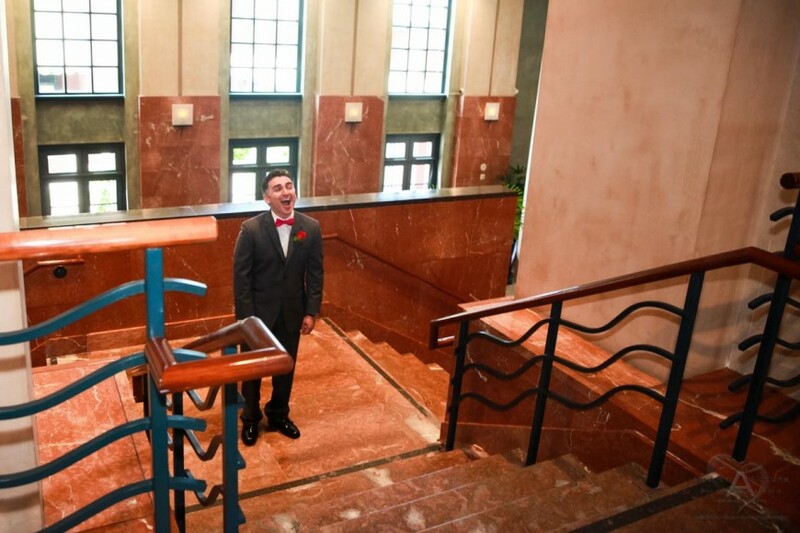 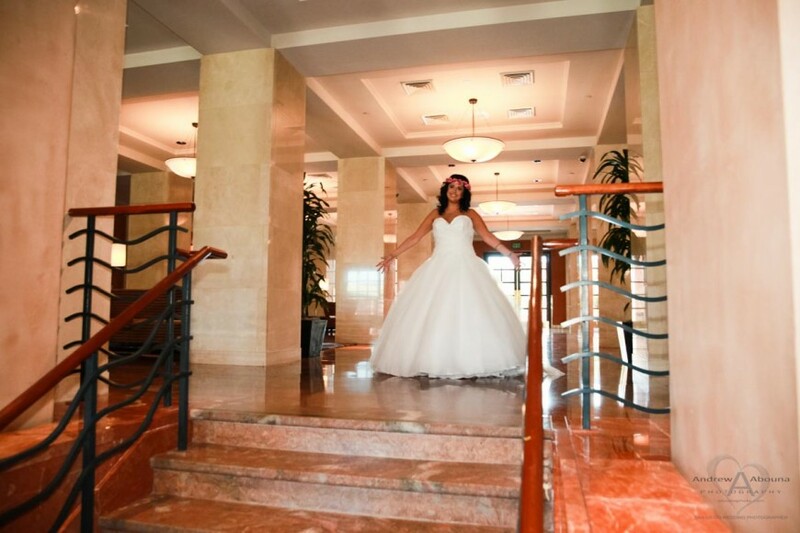 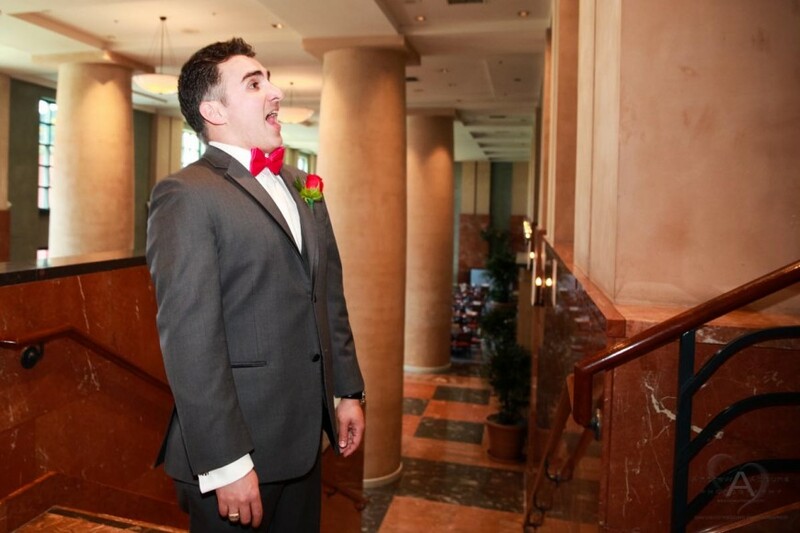 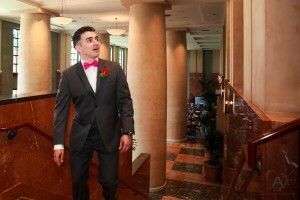 It was at the top of the stairs and just in towards the lobby where I positioned bride Carly. 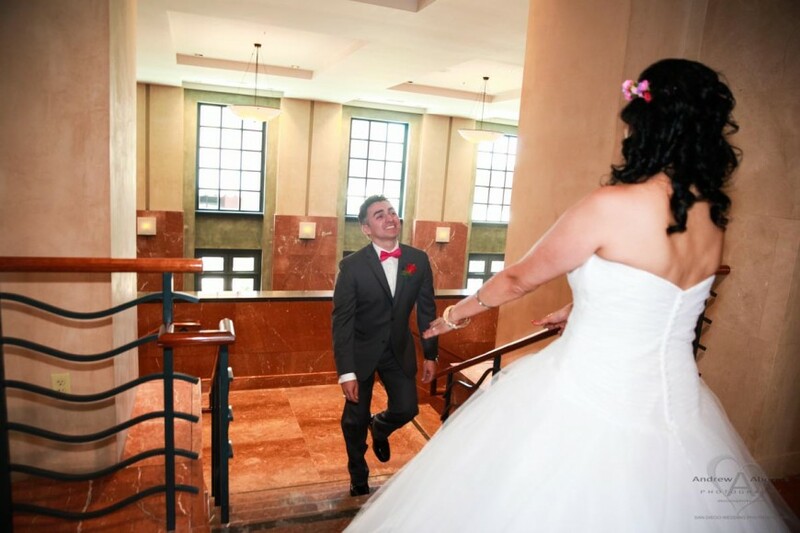 Meanwhile, Nathan arrived on cue, and with great anticipation made his way up the stairs where he turned the corner to see his bride Carly in her spectacular princess wedding dress. 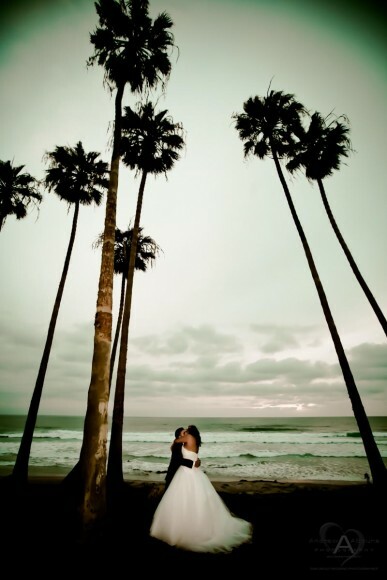 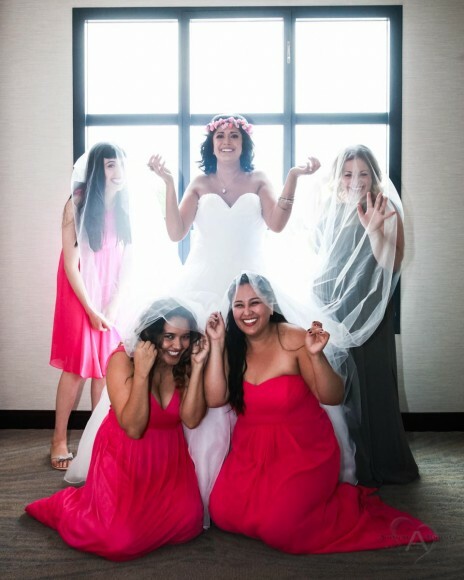 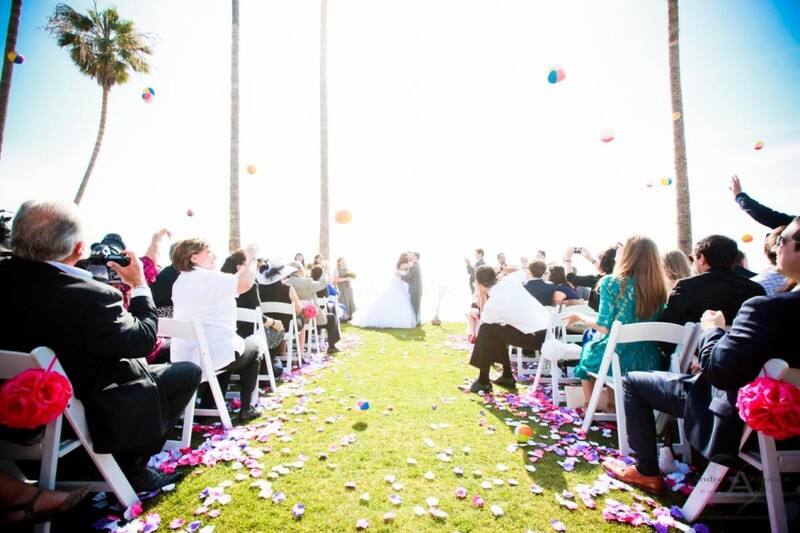 This moment was certainly a highlight of the couple’s La Jolla wedding. 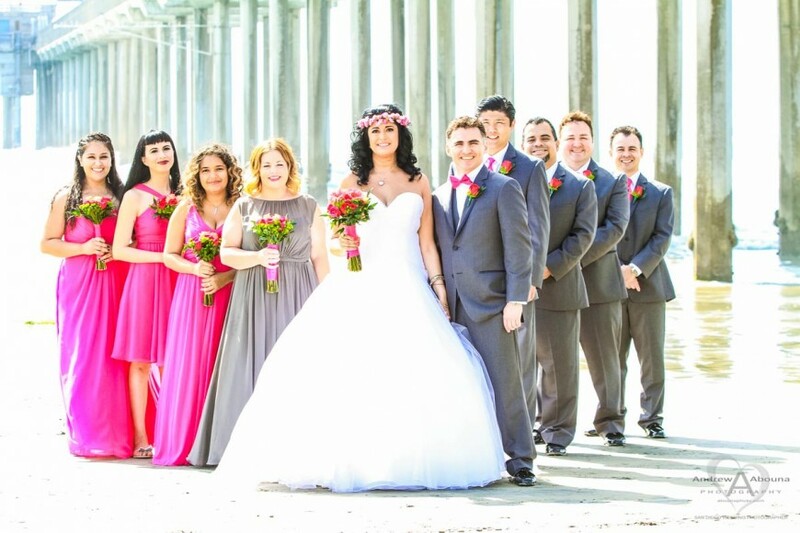 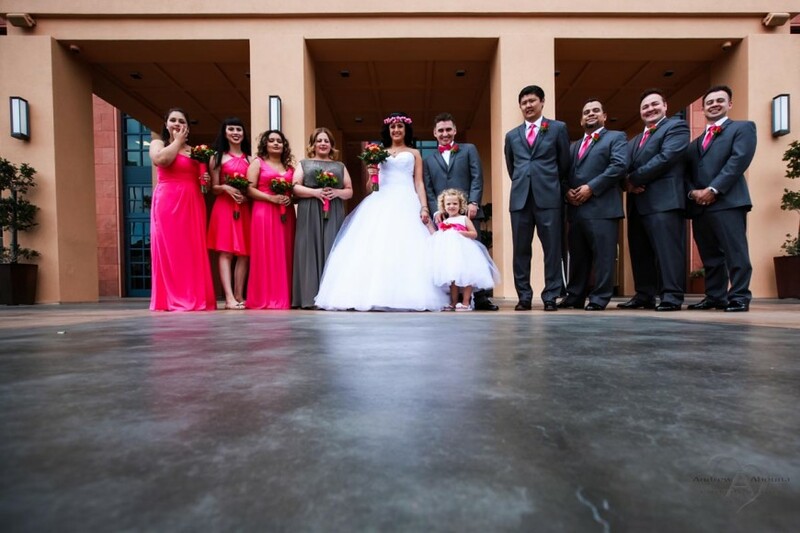 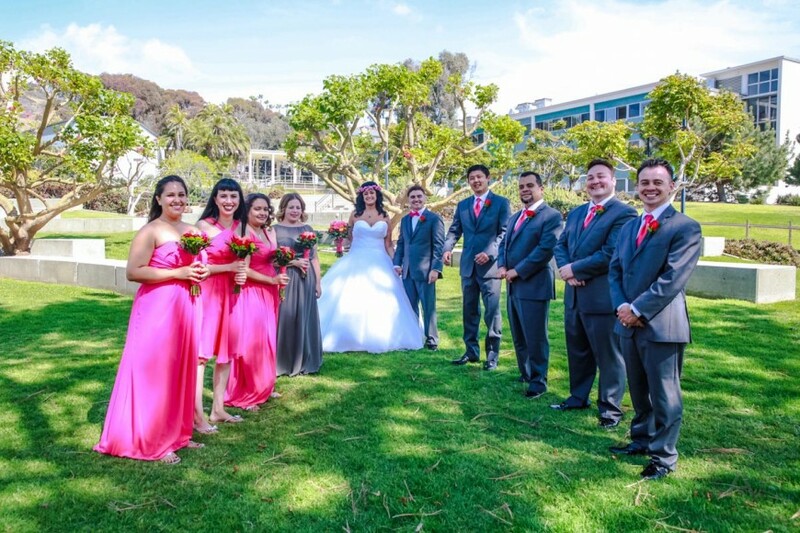 Together with the complete wedding party, we then captured some group photos outside the front of the hotel before taking the short drive over to Scripps Seaside Forum for the wedding ceremony and reception. 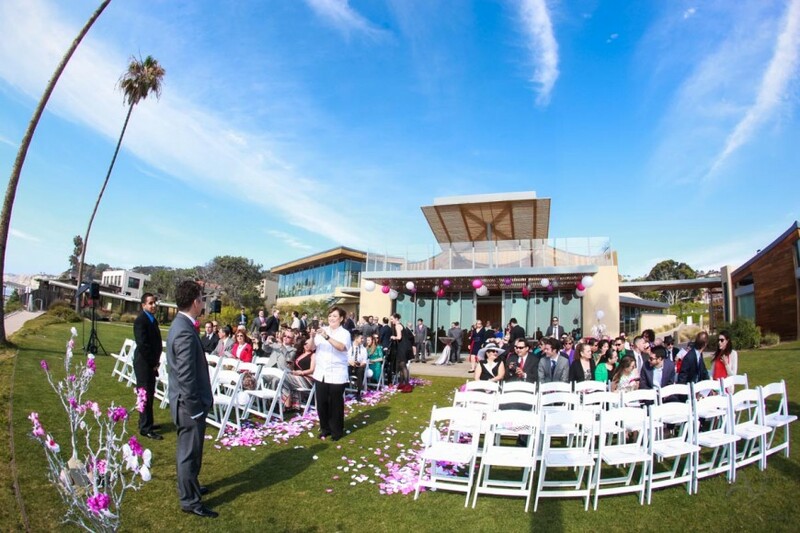 Located at the renowned Scripps Institution of Oceanography, Scripps Seaside Forum offered an unrivaled view towards La Jolla Cove to the south and to the area north of Scripps Pier. 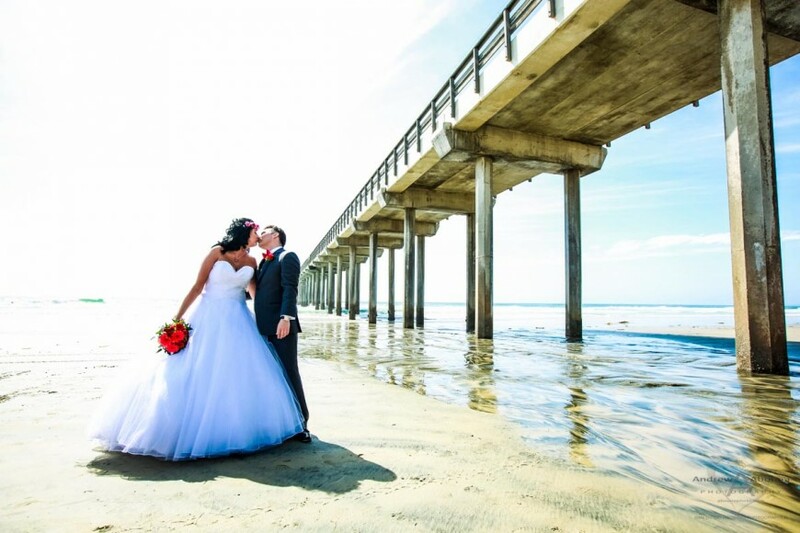 In addition to providing easy access to the beach and pier for creating La Jolla wedding beach photos with the couple and wedding party on the beach, Scripps Seaside forum also offered a spectacular ceremony and park-like settings, as well as wonderful exterior and interior architecture for truly excellent wedding photography. 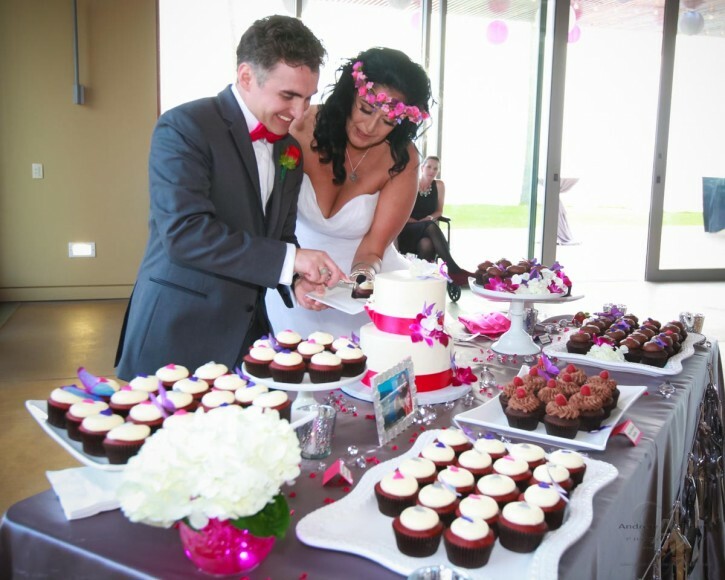 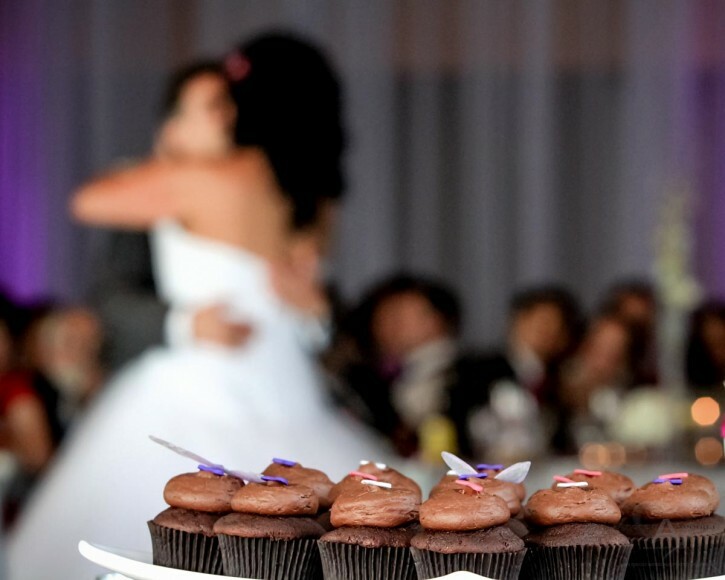 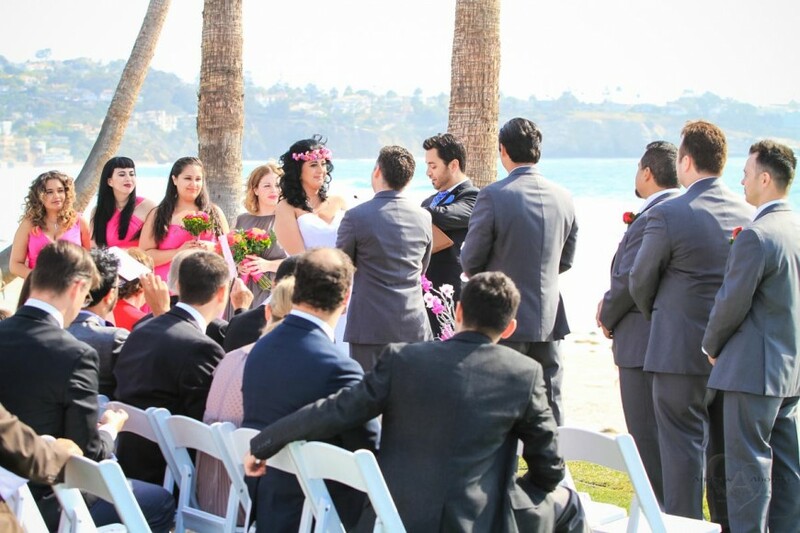 Carly and Nathan’s wedding ceremony and reception was coordinated by Robyn of Holly Kalkin Weddings. 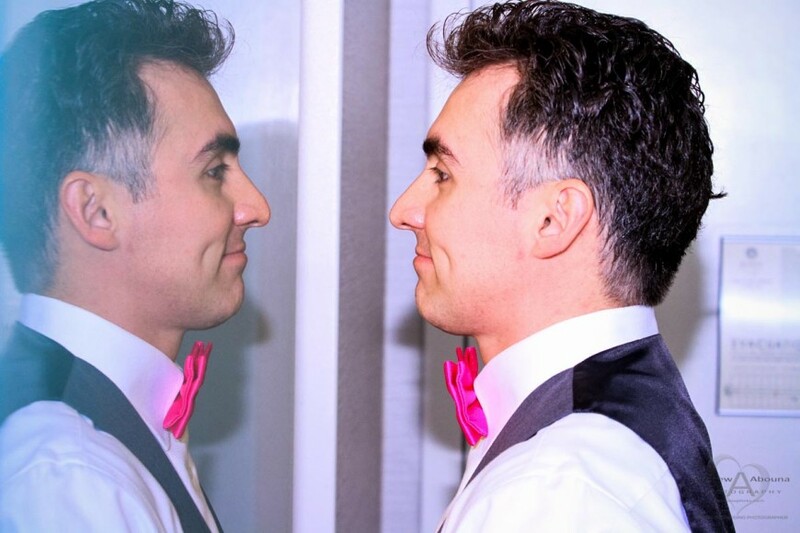 The DJ for the evening reception was Paul Peterson. 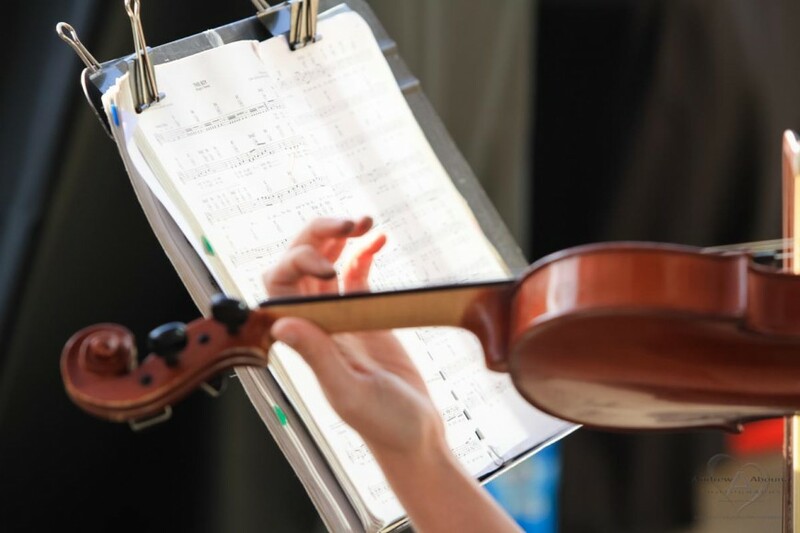 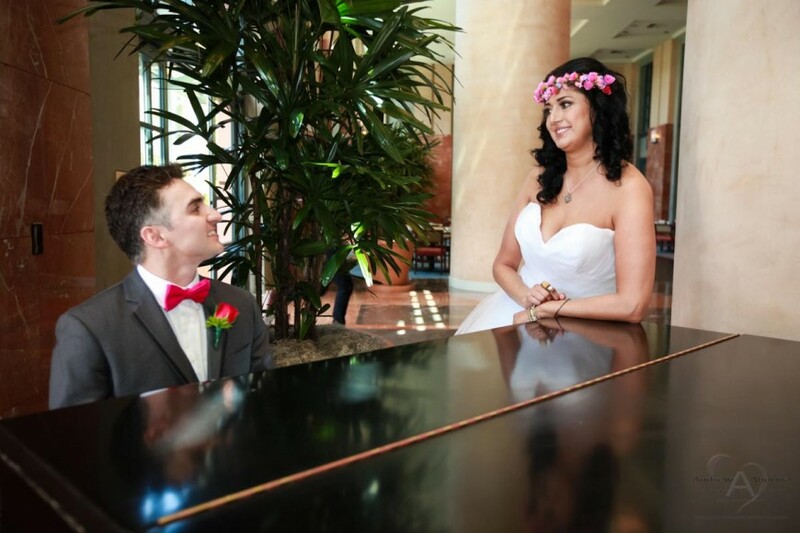 The couple’s wedding ceremony and cocktail hour had live music by violinist Jessica Haddy. 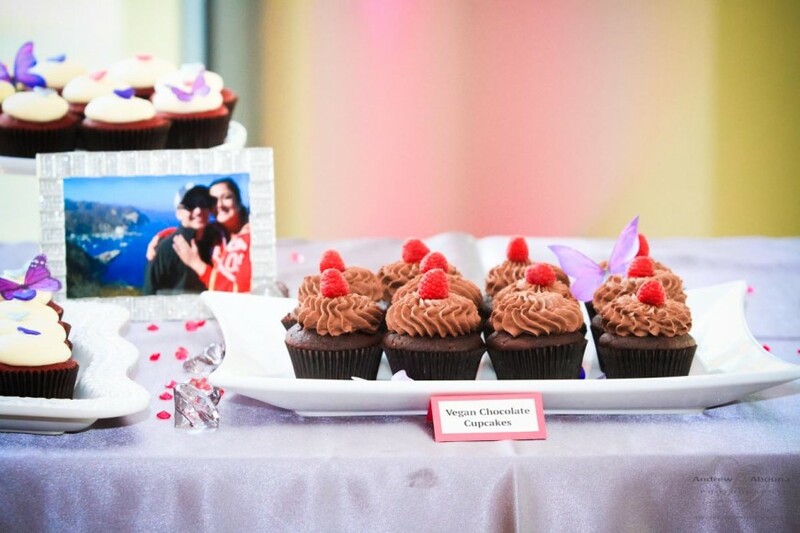 Sweet as Bliss created the wonderful cake and cupcakes. 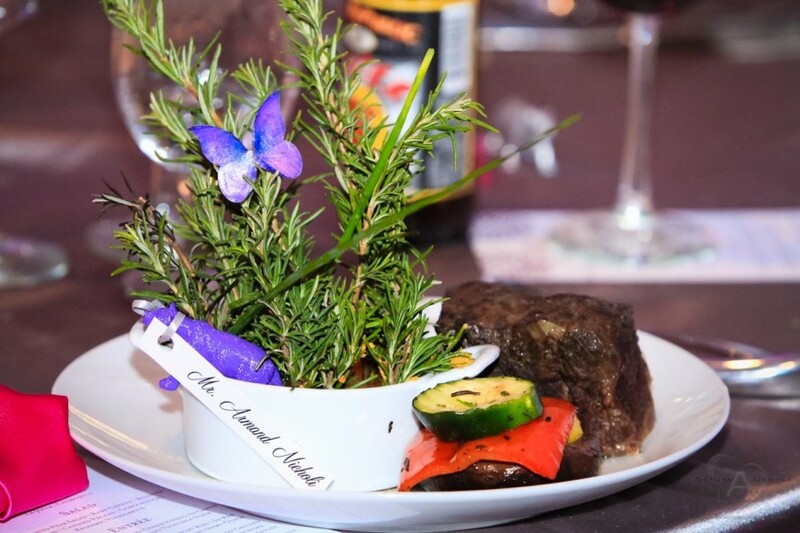 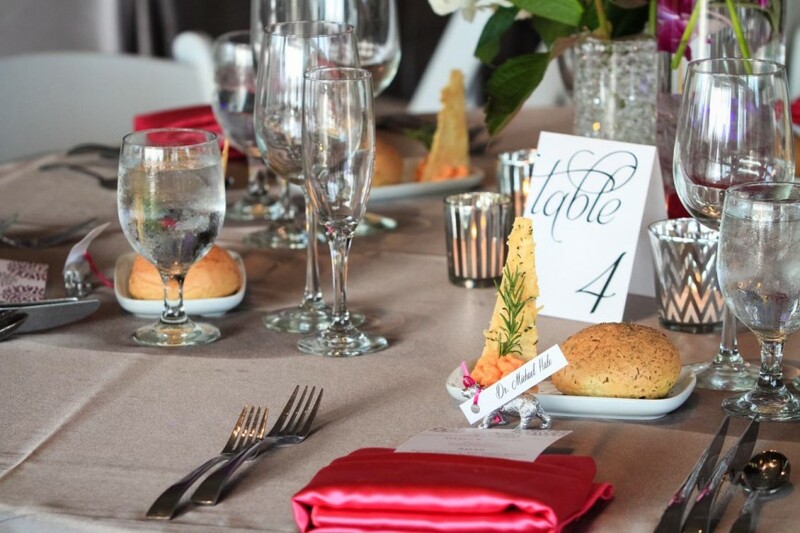 The evening’s catering and rentals was provided by Continental Catering. 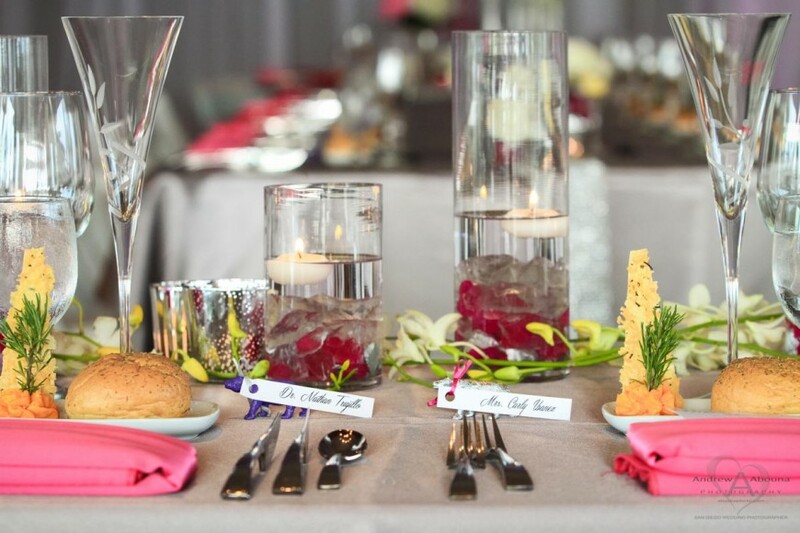 Bar service was provided by Guiseppe. 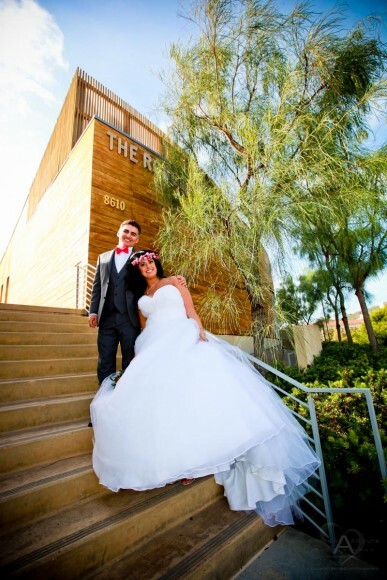 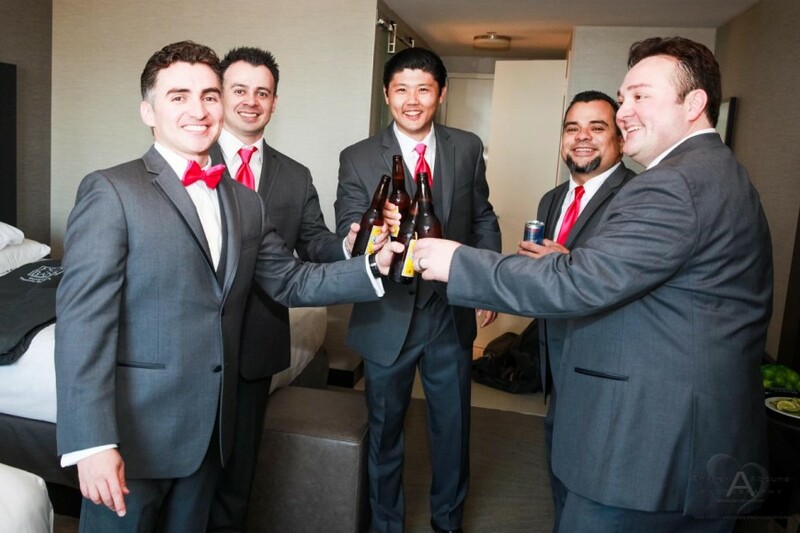 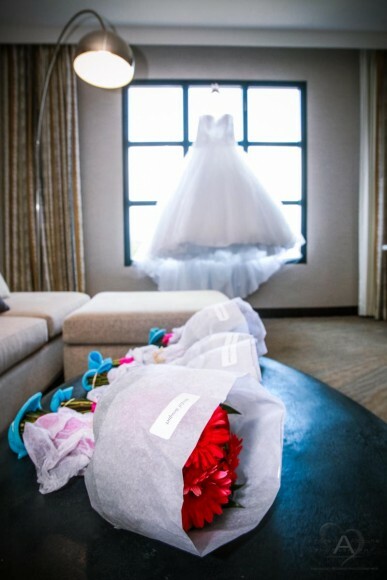 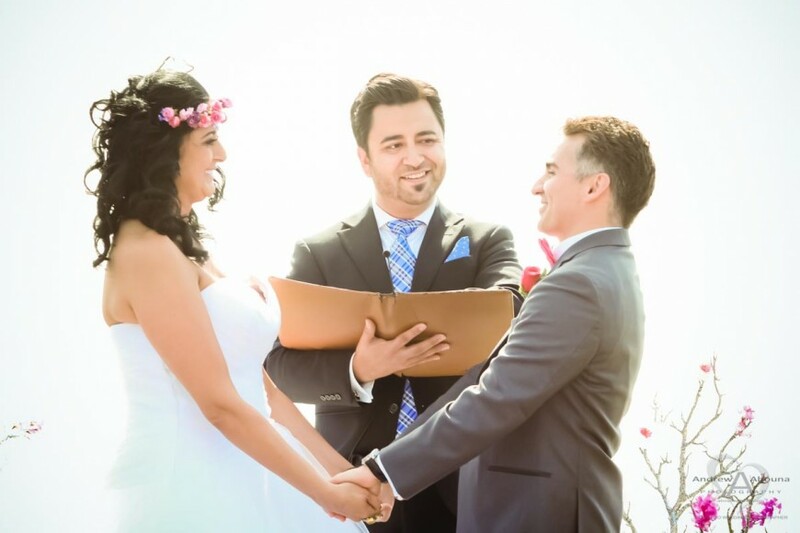 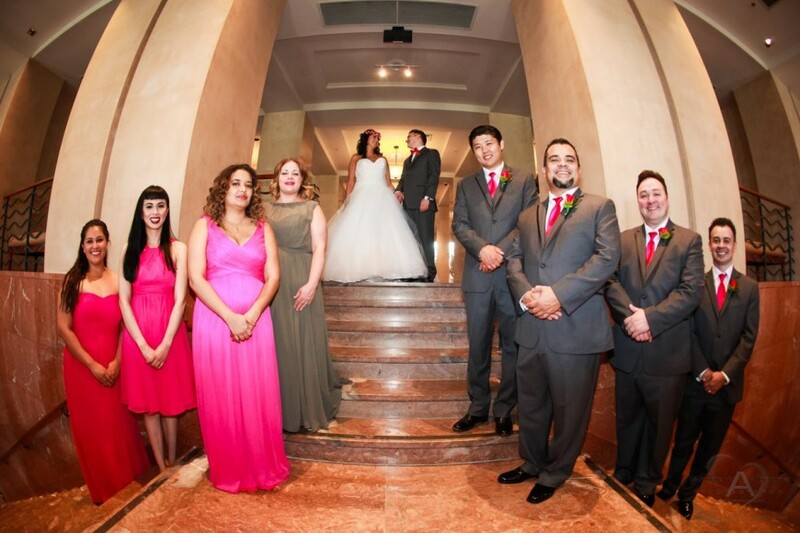 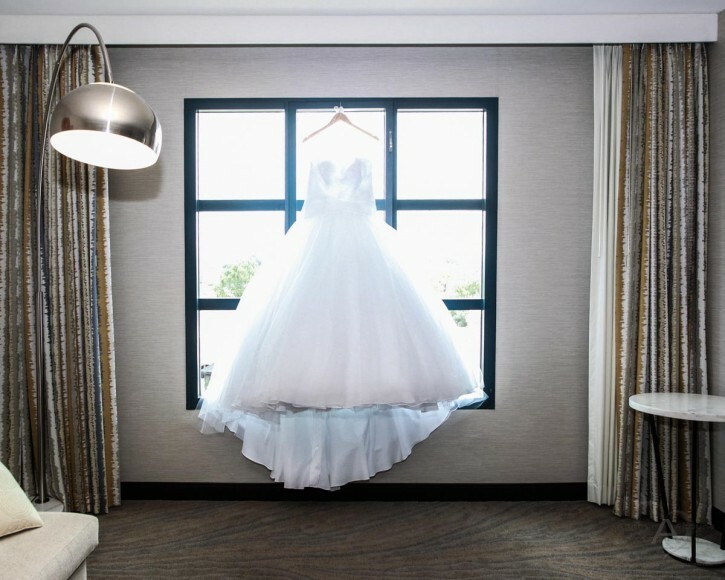 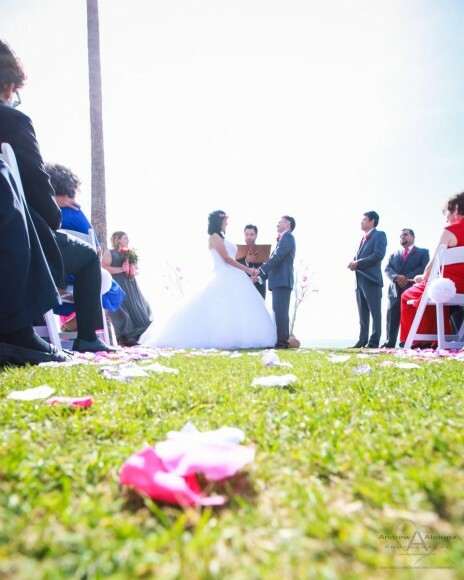 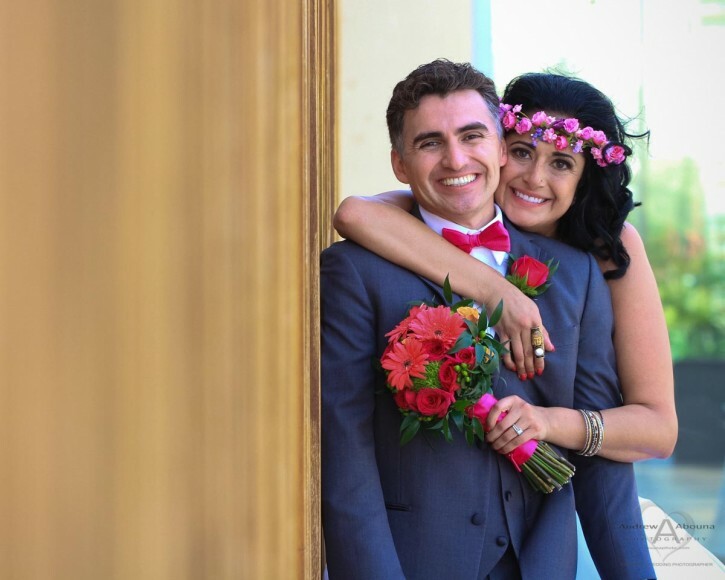 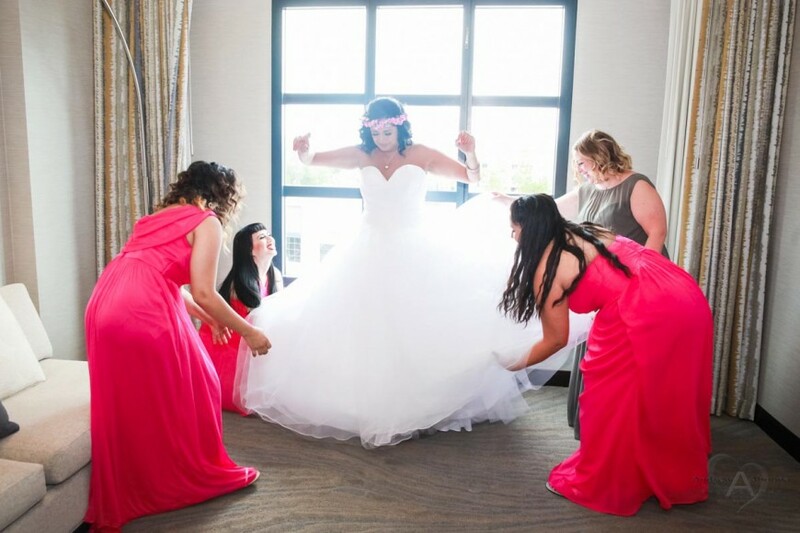 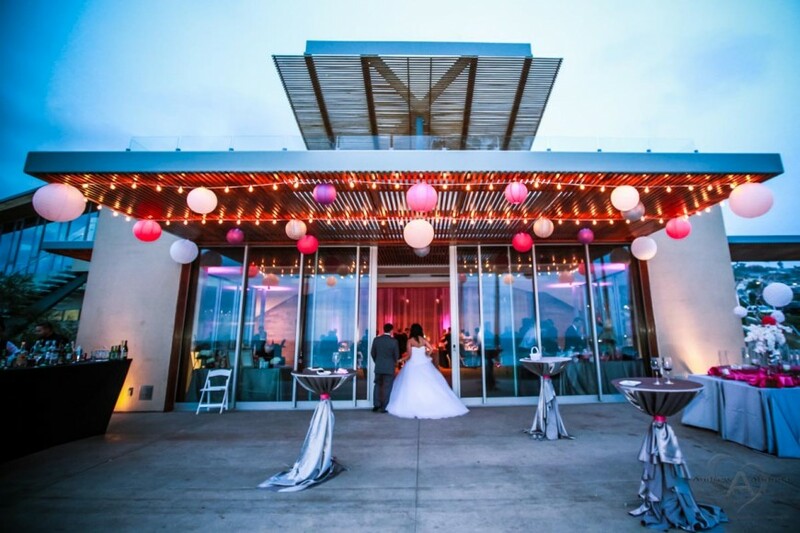 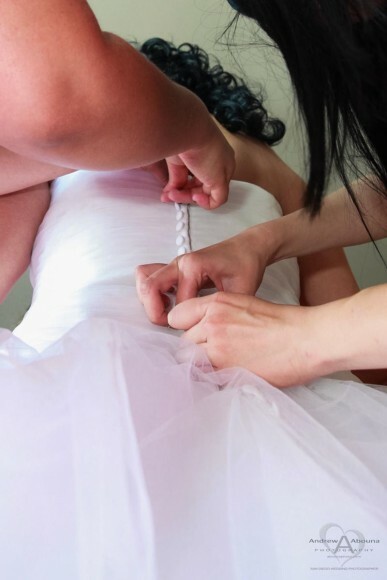 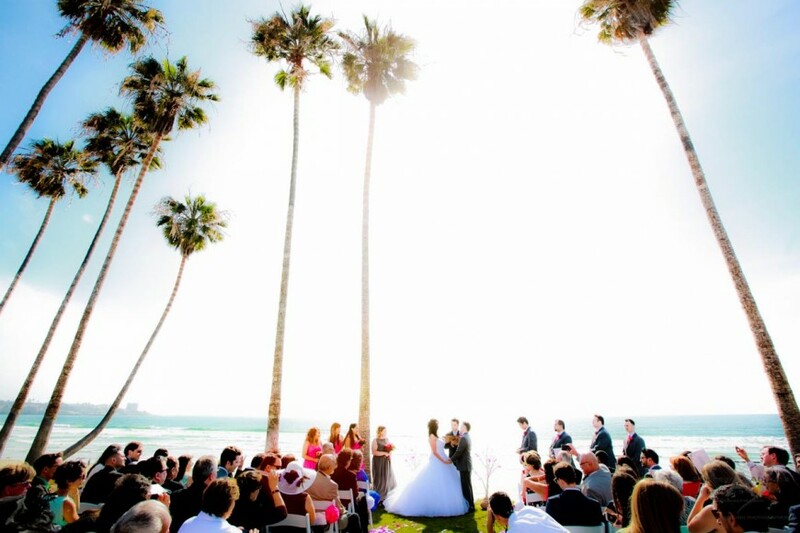 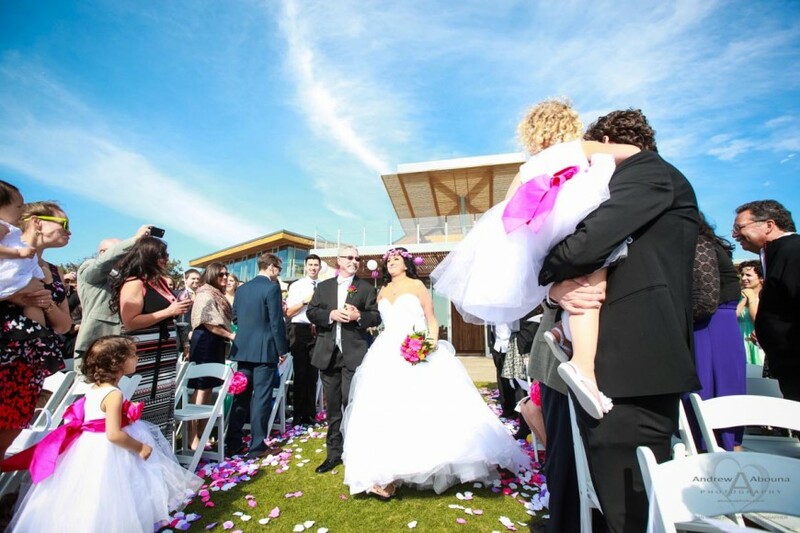 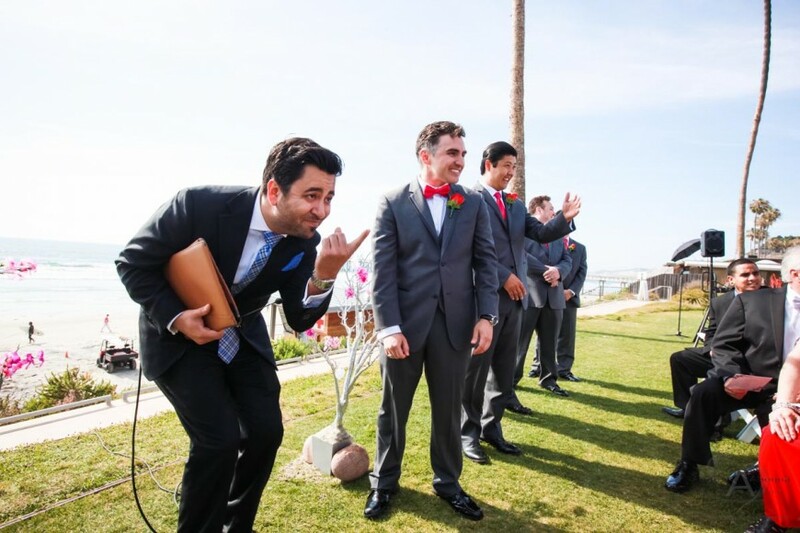 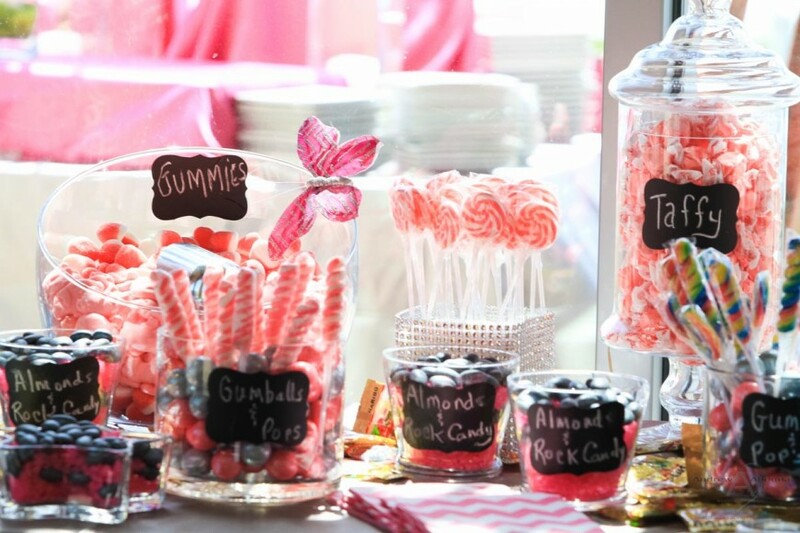 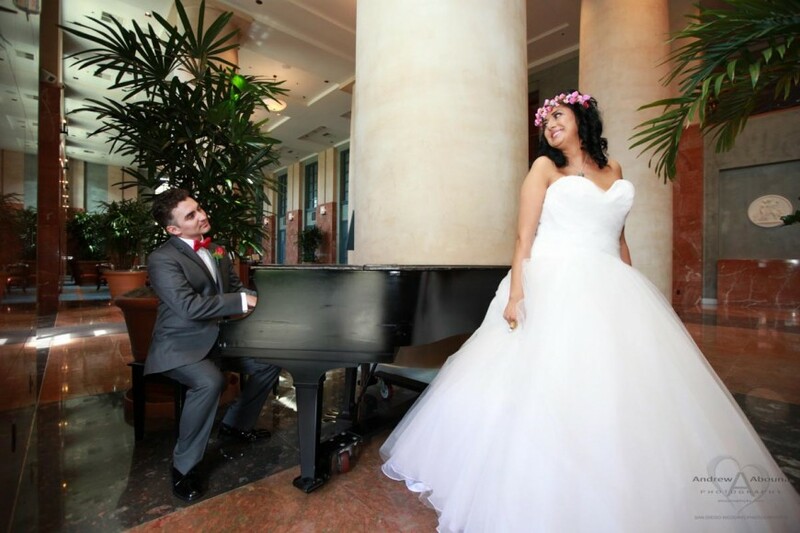 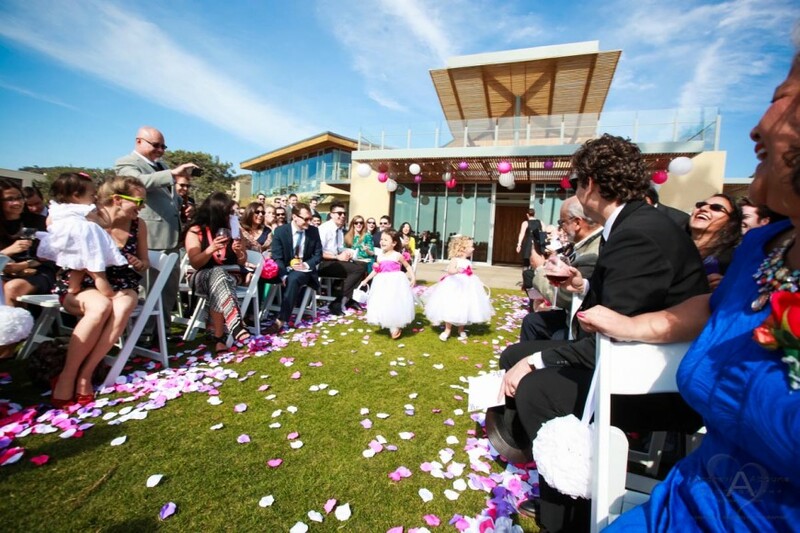 And for help with securing all of the rooms they and their guests needed at both the Hyatt Regency La Jolla and the Sheraton La Jolla, Carly and Nathan turned to Jenny Hill of JC Room Blocks. 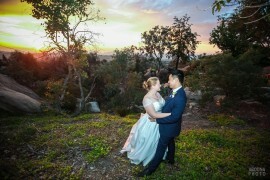 For more of the couple’s La Jolla wedding day photography please see their complete gallery in my San Diego Wedding Photographer Client Galleries (password required). 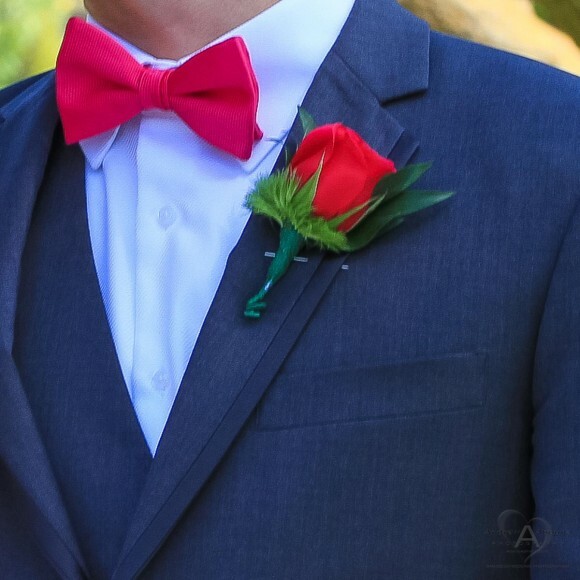 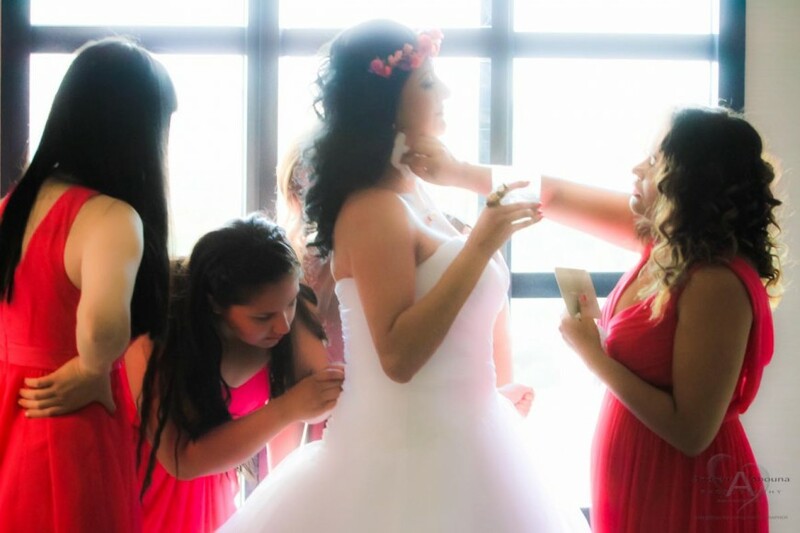 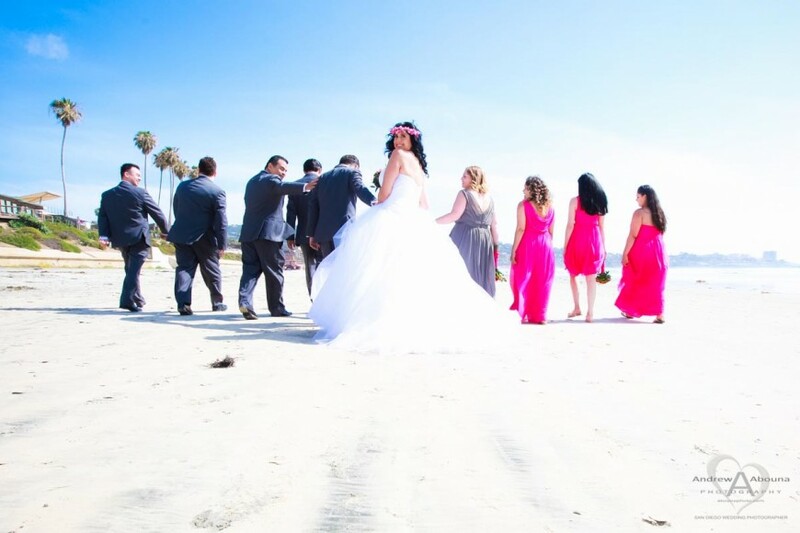 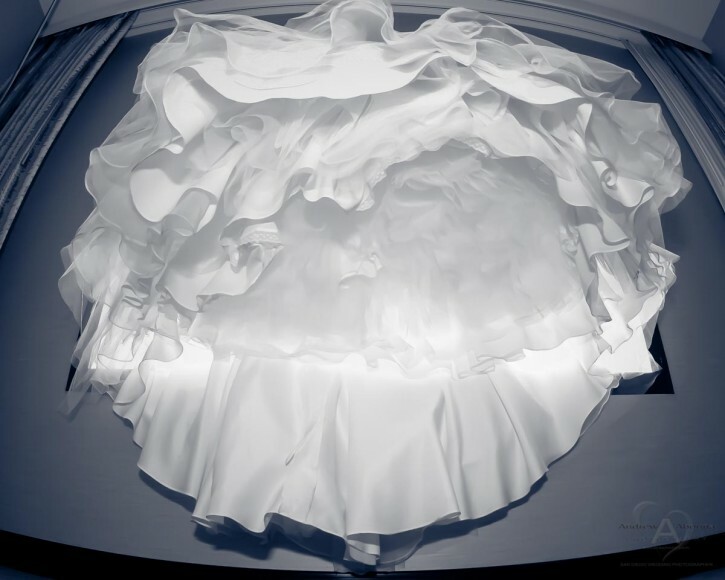 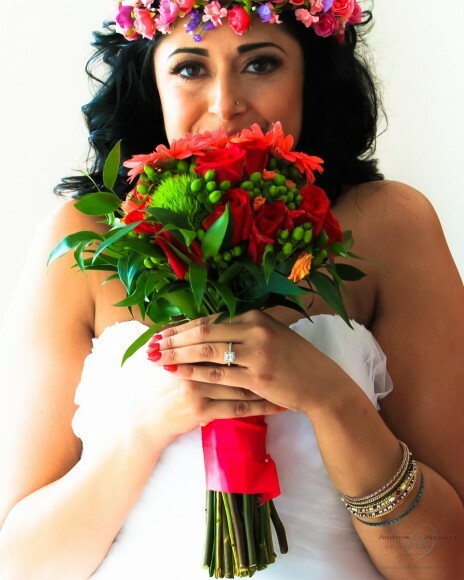 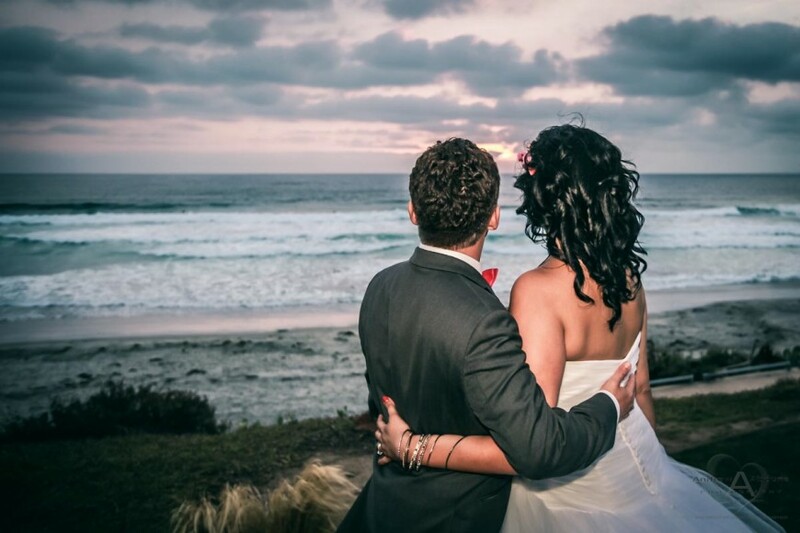 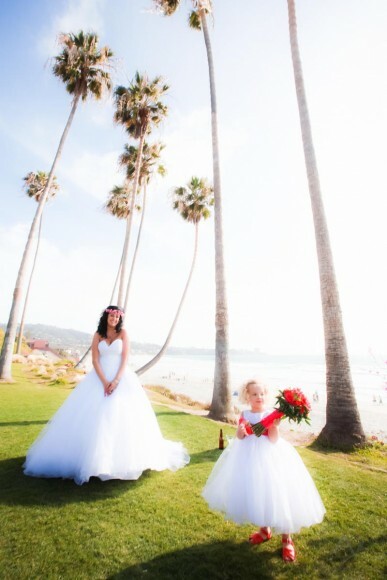 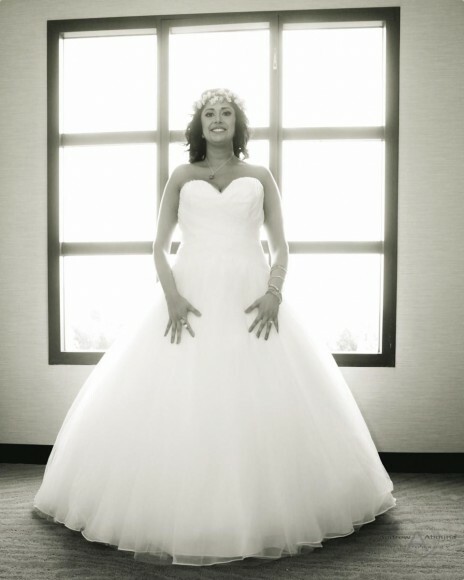 And for more information about San Diego Wedding Photography please contact me.